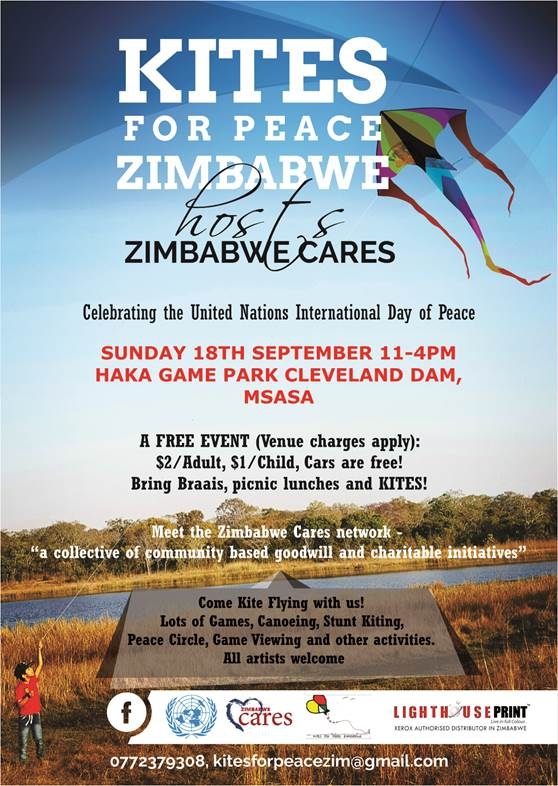 Sunday 18th September 2016 - 11am- 4pm at Haka Game Park, Cleveland Dam Msasa. A free event ( venue charges apply): $2 per adult, $1 per child, cars are free. Meet the Zimbabwe Cares Network- '' a collective of community based goodwill and charitable initiatives''. Come Kite Flying with us! Lots of games, canoeing, stant kiting.peace circles,game viewing and other activities.